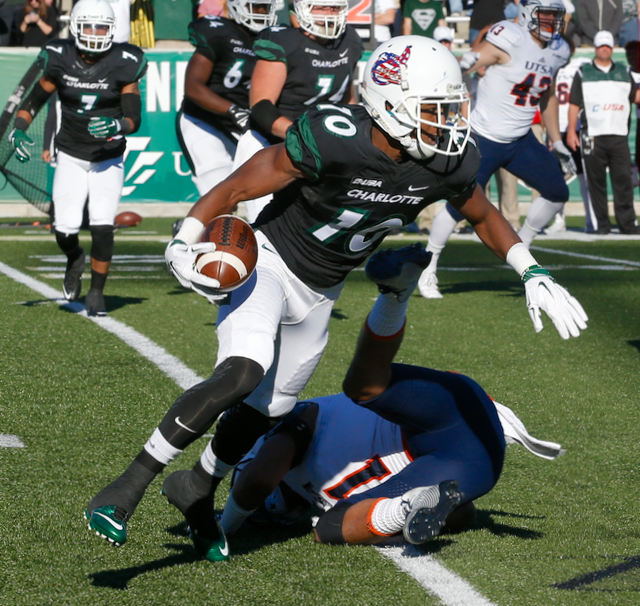 CHARLOTTE, N.C. – The UTSA Roadrunners broke a four-game losing streak with a 30-27 overtime victory over the Charlotte 49ers. With the win, UTSA improved to 2-8, although the Roadrunners were mostly competitive during their recent losing streak which followed an upset win over UTEP earlier this season. Charlotte, meanwhile, is also 2-8 although the 49ers are 0-7 in Conference USA. They’ll take a break from conference play this coming weekend to take on the SEC’s Kentucky Wildcats in Lexington. UTSA, meanwhile, will host the Rice Owls which sits at 4-6 needing to win its final two league contests to become bowl eligible.